The BSE benchmark Sensex jumped over 200 points in early trade Friday led by gains in realty, metal, oil and gas and banking stocks amid positive global cues on hopes of a trade deal between the US and China. 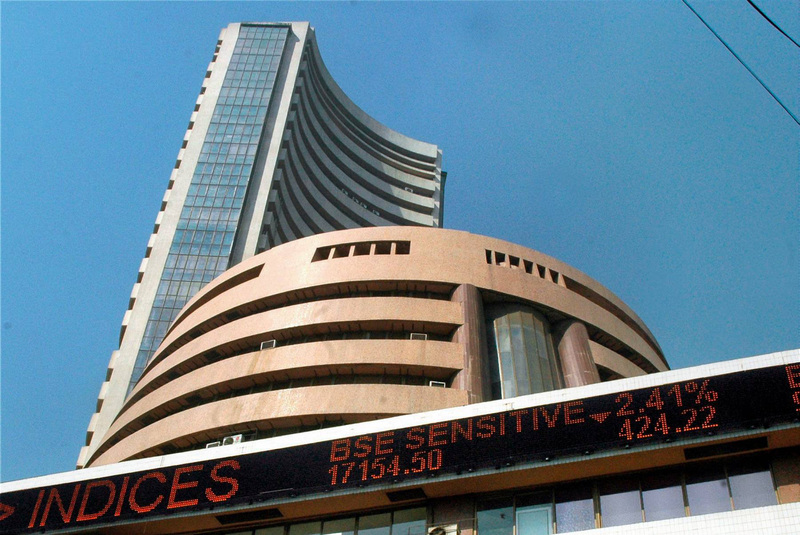 The BSE gauge Sensex was trading 200.69 points, or 0.52 per cent, higher at 38,885.41. The 30-share Sensex index settled 192.40 points, or 0.49 per cent, lower at 38,684.72 in its previous session. Similarly, the NSE benchmark Nifty rose 60.45 points, or 0.52 per cent, to 11,658.45 in early session. Top gainers in the Sensex pack include IndusInd Bank, Yes Bank, Infosys, TCS, Vedanta, M&M, Kotak Bank, M&M, Sun Pharma, ONGC and ICICI Bank, rising up to 1.60 per cent. On the other hand, Asian Paints, Hero MotoCorp, Bharti Airtel, PowerGrid, HUL, Maruti and SBI were the top losers, falling up to 0.74 per cent. According to traders, investors followed cues from other Asian markets which were trading on a positive note US President Donald Trump on Friday said the United States and China are close to entering into a trade agreement and something very "monumental" could be announced in next four weeks. Top Chinese and US officials are meeting in Washington to reach an agreement after the world's two biggest economies entered into a trade war and imposed tariffs on more than USD 360 billion in two-way trade. Investors were cautious about the downward revision in GDP growth to 7.2 per cent for FY20 by the Reserve Bank of India, while premium valuation and concerns over monsoon further impacted the sentiment. However, dovish view by global central banks and a likely better results in Q4FY19 can stabilise the market in the near-future, experts said. Meanwhile, foreign institutional investors (FIIs) pulled out Rs 226.19 crore Thursday, and domestic institutional investors (DIIs) bought equities to the tune of Rs 1,206.16 crore, provisional data available with stock exchanges showed. On the macro front, the rupee appreciated 10 paise to trade at 69.07 to the US dollar in early trade on Friday. "GDP growth for 2019-20 is projected at 7.2 per cent in the range of 6.8-7.1 per cent in first half of 2019-20 and 7.3-7.4 per cent in the second half with risks evenly balanced," the RBI said. BSE benchmark Sensex rose over 150 points in early trade led by gains in banking and auto stocks amid positive cues from other Asian markets. The BSE gauge Sensex was trading above the psychological 39,000-level in early deals up 176.95 points, or 0.45 per cent, at 39,233.60. The 30-share BSE index Tuesday settled at 39,056.65, 184.78 points or 0.48 per cent higher, marking its highest ever closing. Similarly, the NSE benchmark Nifty was trading 39.05 points, or 0.33 per cent, higher at 11,752.25 in early session. Top gainers on Sensex include Tata Motors, IndusInd Bank, HDFC twins, PowerGrid, Kotak Bank, Tata Steel, Bharti Airtel, Yes Bank, M&M, Maruti, Bajaj Finance, SBI and RIL, rising up to 2.05 per cent. On the other hand, Infosys, HUL, Coal India, L&T and Sun Pharma were the top losers, falling up to 0.68 per cent. According to experts, inflow of foreign liquidity in expectation of rate cut from the Reserve Bank of India (RBI) and revival in earnings will provide some stability in the market. Foreign institutional investors (FIIs) remained net buyers in the capital markets, putting in Rs 543.36 crore Tuesday, while domestic institutional investors (DIIs) sold equities to the tune of Rs 437.70 crore, provisional data available with stock exchanges showed. The Monetary Policy Committee (MPC) is holding a two-day meeting between April 2 and April 4 for the first bi-monthly policy statement for 2019-20. The RBI will unveil its first bi-monthly monetary policy decision of this new fiscal on Thursday. Meanwhile, the rupee appreciated by 9 paise to trade at 68.65 to the US dollar in early trade on Wednesday. Brent crude futures, the global oil benchmark, rose 0.52 per cent to trade at USD 69.73 per barrel. Elsewhere in Asia, benchmark equity indices in Shanghai, Tokyo and Seoul were trading positive. (RBI) on Thursday decided to cut repo rate by 25 basis points (bps) or 0.25 per cent to 6 per cent. The RBI has maintained the policy stance at "neutral". The RBI's six-member rate setting panel headed by RBI governor Shaktikanta Das on Tuesday started its 3-day monetary policy meet amid expectations of a cut rate to boost economic activities. This is also the first back-to-back rate cut since the Monetary Policy Comittee (MPC) was formed in late 2016. Das has already held meetings with stakeholders including industry bodies, depositors association, MSME representatives and bankers. Since taking over at the central bank in December last year, the RBI governor has taken a series of steps to help support economic growth and spur lending. Accused of pnb scam and absconded mehul chouksey today submitted detaild medical history to avoid extradition. Choksi, through his advocates, told the PMLA judge M S Azmi that he is unable to travel and return to India given his medical condition and ailments. Mehul Choksi, one of the accused in the Rs 13 000-crore Punjab National Bank scam, has moved a fresh application and additional submissions before the Prevention of Money Laundering Act (PMLA) court in Mumbai. lawyers placed as many as 38 documents including medical reports, letters from doctors and several other documents as proof of his various ailments. The annexures submitted before the court include reports and copies of angiograms, ultrasound examinations, MRI of his brain, knee joints and spine, ultrasound examinations, blood reports, radiographs of his spine, X rays, consultation reports for cardiovascular problems among others. As Jet Airways continue to ground aircraft and cancel significant number of flights, the airline's aircraft maintenance engineers' union wrote to the aviation regulator on Tuesday that three months of salary was overdue to them and flight safety "is at risk". In a letter written to the Directorate General of Civil Aviation, Jet Aircraft Engineers Welfare Association (JAMEWA) stated: "It has been arduous for us to meet our financial requirements, result of which have adversely affected the psychological condition of Aircraft Engineers at work and therefore the safety of public transport airplanes being flown by Jet Airways across India and the world is at risk." Cash-strapped Jet Airways had on Monday said it had grounded four more planes, taking the number of aircraft that are non-operational due to non-payment of lease rentals to 41.